On 16 June 2018, 737-800, EI-FHD, (39011/3946), of Norwegian Air International, was en-route from KEF (BIKF) to MAD (LEMD) when the crew reported a hydraulic failure and elected to divert into Birmingham (EGBB). A video posted on YouTube shows that the left hand inboard tyre was deflated in flight and shredded on landing. Also flight spoilers 8 & 10 were the only spoilers in use (there was a crosswind from the right) which suggests that hydraulic system A had been lost in-flight. Flight spoilers 2, 4, 9, 11. Also a manual gear extension will have been required. 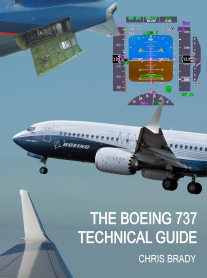 All of the information, photographs & schematics from this website and much more is now available in a 374 page printed book or in electronic format. 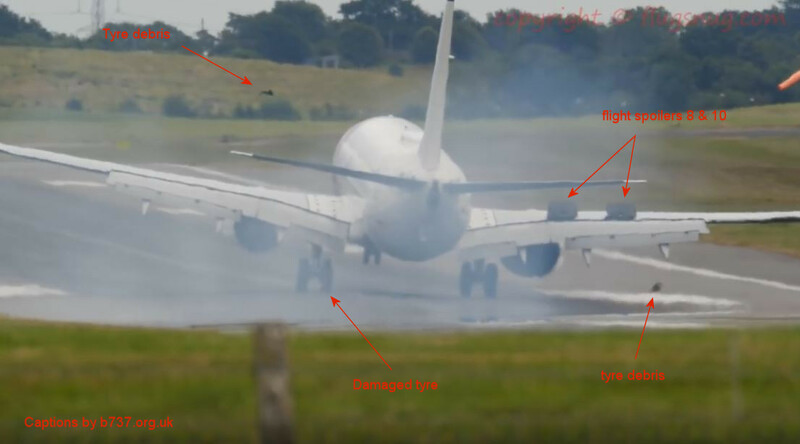 Still from the YouTube video showing tyre debris on touchdown and only flight spoilers 8 & 10 deployed.